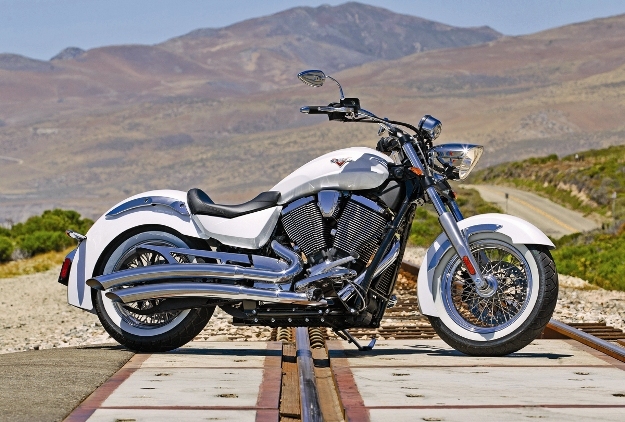 The Victory is among those brands which are well known for their stylish cruiser motorcycles. This year Victory has proudly launched its new 2017 Victory High-Ball Cruiser Motorcycle containing the number of incredible features. It comes with the 106 cubic-inch V-Twin engine delivering the massive 110 foot-pounds of tire-smoking torque and acceleration. 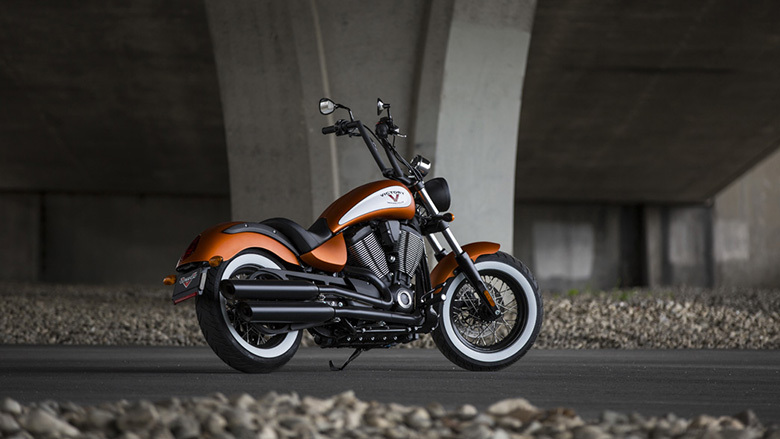 The design is kept same like the other Victory Motorcycles but it features the sunset orange color which looks very attractive. The seat design gives an ultimate comfort all day long. The suspension system ensures the smooth ride. The review of new 2017 Victory High-Ball Cruiser Motorcycle with its price and specification are given below. The new 2017 Victory High-Ball Cruiser Motorcycle is available with the price of $13,499 only. 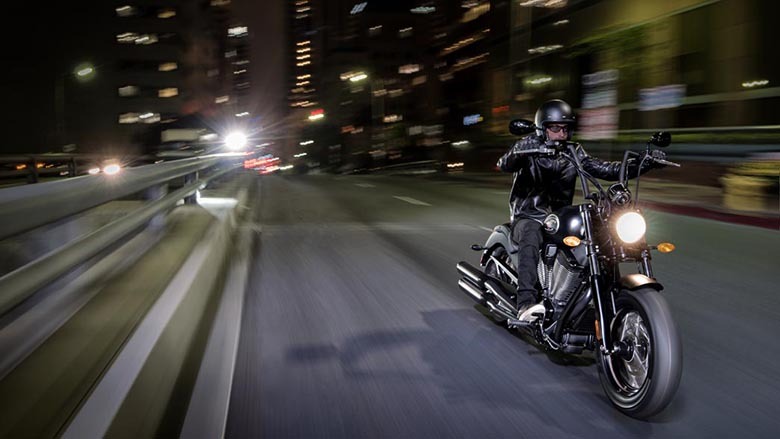 The all-new 2017 Victory High-Ball Cruiser Motorcycle features the 106 cubic-inch engine delivering the 110 foot-pounds of torque. It features the same engine as the one used in 2017 Victory Vegas 8-Ball Cruiser Motorcycle. The engine response is incredible and rider can feel the power when he rotates the throttle. The engine is always ready to conquer the highway. The new 2017 Victory High-Ball Cruiser Motorcycle comes with two different color options i.e. Badass Black or Nuclear Sunset Orange color. The color combination is very attractive and it always demands another look. 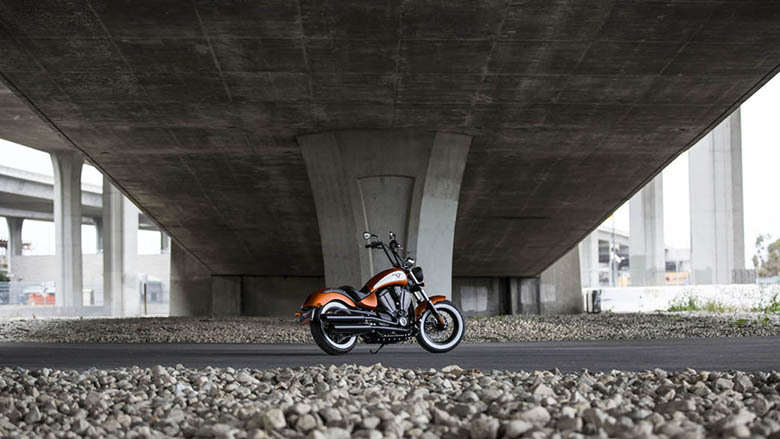 The Orange Victory model features the contrasting white wall tires, which adds another level to the overall beauty of this model. 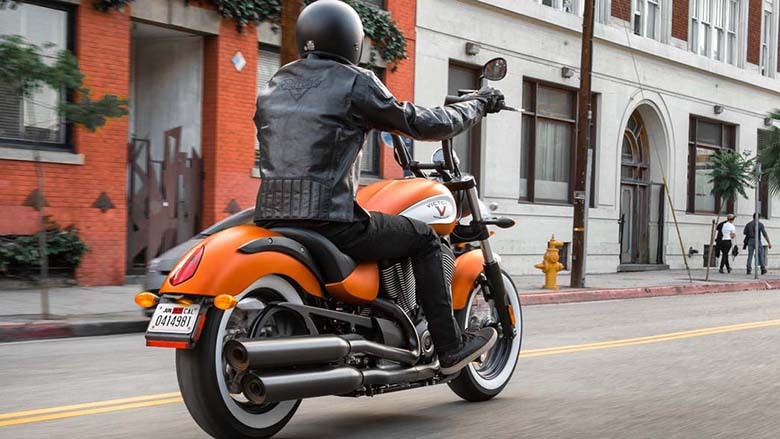 The new 2017 Victory High-Ball Cruiser Motorcycle features the spoked alloy wheels giving loads of old-school style. The 16-inch of wire wheels contains the fat tires. There are the contrasting white wall tires on Nuclear Sunset Orange bike model enhancing its best outlook. 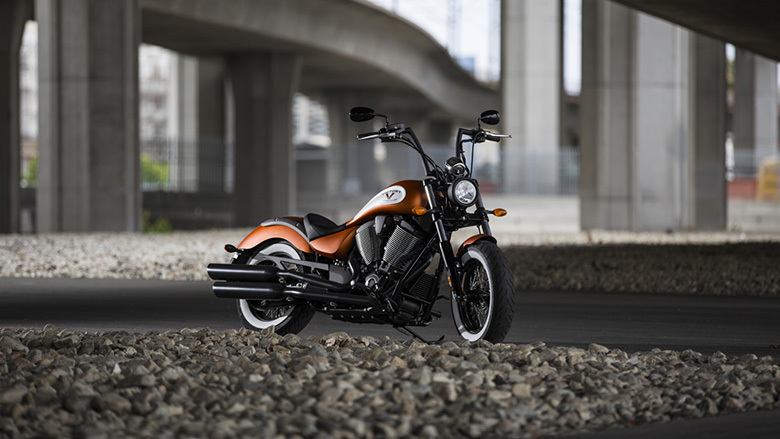 The new 12-inch of Mitered Ape hanger handlebar used in 2017 Victory High-Ball Cruiser Motorcycle gives the full control over the bike. The design of handlebars are quite attractive and the dash is mounted on the fuel tank. 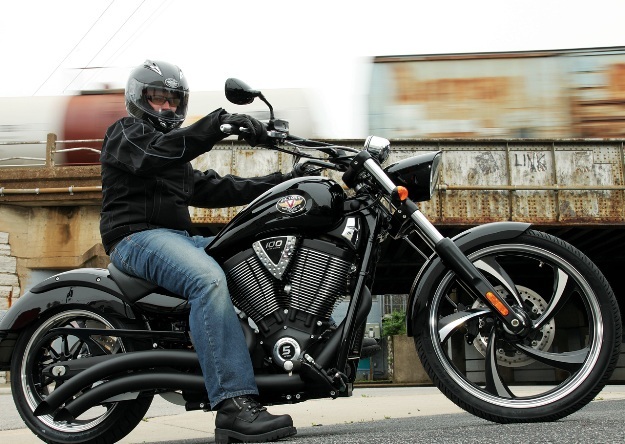 This article is about the review of new 2017 Victory High-Ball Cruiser Motorcycle and it is covered under www.bikescatalog.com. This cruiser contains the powerful engine with an attractive but strong chassis. The seat design offers the comfortable ride while the braking and suspension system ensure an ultimate stopping and damping force. The wheels and tires provide the greater traction overall all surfaces. It is an ideal bike to ride on and one should purchase and enjoy its amazing ride.